I am Realtor in Vancouver, BC, Canada and I have created this series of videos to help those who need help buying their first condo or house in Metro Vancouver, BC, Canada. 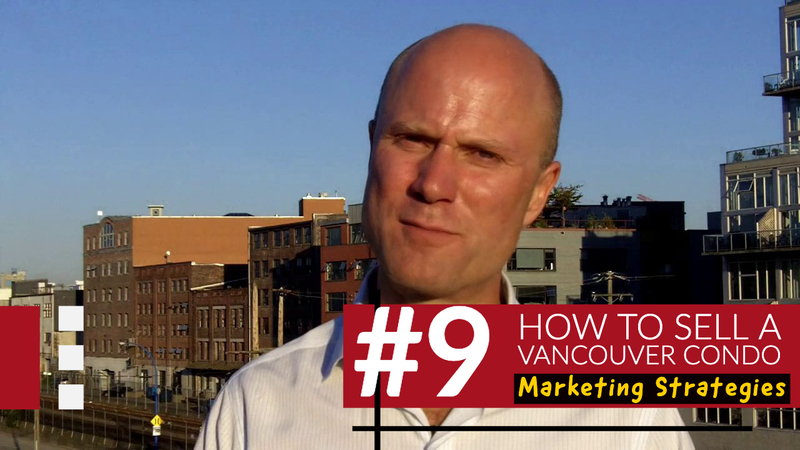 In Episode 9 of the First Time Home Buyers Guide for Vancouver we talked about the Deposit Section of the BC Contract of Purchase and Sale document. Today we are going to talk about the Date sections (Section 3,4, and 5) on page 2 of the Contract of Purchase and Sale. These Completion, Possession, and Adjustment Dates can be set at any time agreed to by the Buyer and Seller (One day after an Accepted Offer to years after). In most cases the Completion Date comes first, and the Possession Dates and Adjustment occur the next day. Remember! The Completion, Possession, and Adjustment Dates laid out in the Contract of Purchase and Sale only occur once all subject conditions have been removed! Completion Date (Section 4) – This is the date when the Buyers money is transferred to the Seller and ownership of the property transfers to the Buyer. (Please Note! A Buyer DOES NOT MOVE IN on the Completion Date! No Cash, No Keys! )In the example offer below, the Completion Date is on May 30, 2019. Completion Dates can only occur from Monday to Friday (Land Titles Office works Monday to Friday) and it is advisable to complete on a Thursday so there is a weekday to following the Completion Date should there be a delay or an issue. A Buyer can request a Completion Date whenever works best for them and the Seller can always refuse and propose another date in the negotiation. 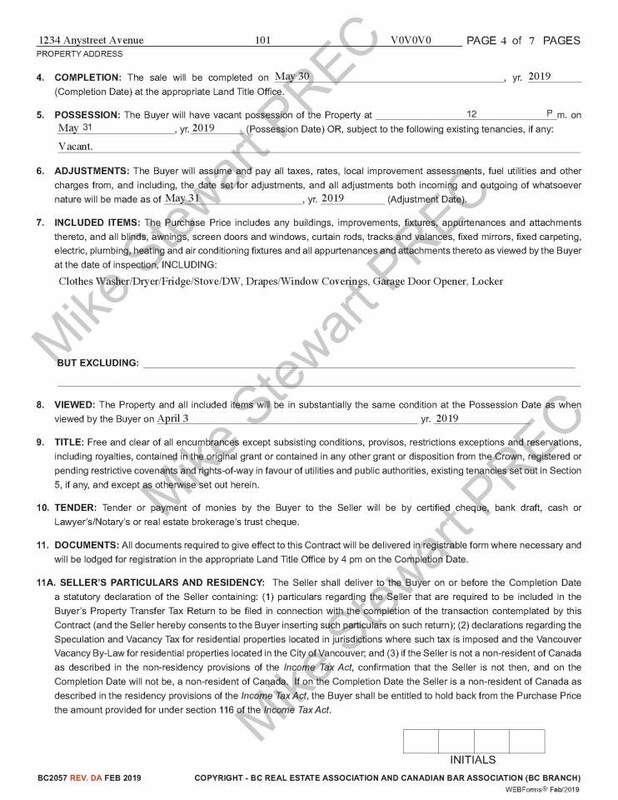 Possession Date (Section 5) – Move In Day! This is date when the Buyer is officially allowed to move in. This date is usually the day after the Completion Date, but it can be any date the Buyer and Seller agree on. Most of the time the Buyer takes possession of the property at 12 Noon, but this is negotiable. In the example below the Possession Date is May 31, 2019 (Yes, I know May 31st does not exist…). 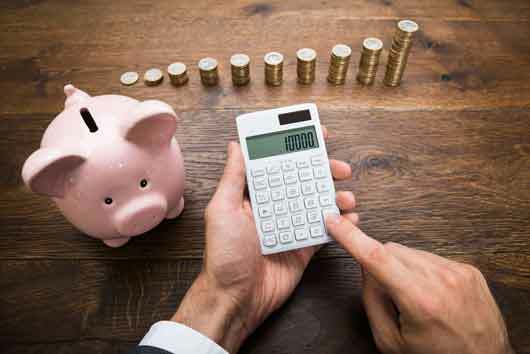 Adjustment Date (Section 6) – This the date when tax and insurance liability pass from the Seller to the Buyer. Its usually the same date as the Possession Date. In the example below the Adjustment Date is May 31, 2019. Why are Dates on a Real Estate Offer? 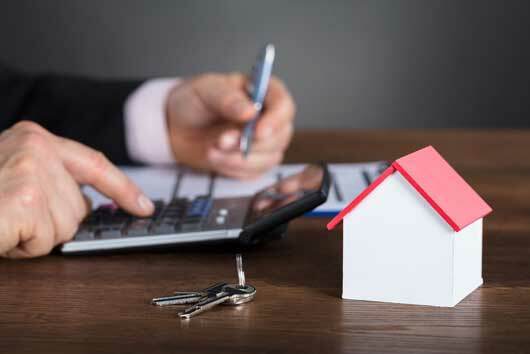 Both Buyer and Seller and the people helping them (lawyers, notaries, mortgage brokers, banks, lenders etc) need to have a written record of when certain actions are going to take place as per the Accepted Offer (Contract of Purchase and Sale) as well as reference should there be a dispute. So remember when agreeing to dates in a Contract of Purchase and Sale make sure that is possible to do what is agreed at the time agreed upon! Time is of the Essence basically means that if the actions that are supposed to take place at a certain time such as the Dates above don’t occur, there are very serious consequences that could involve lawyers, courts, and judges if you catch my drift. Looking for Advice on How to Sell a Condo in Vancouver? 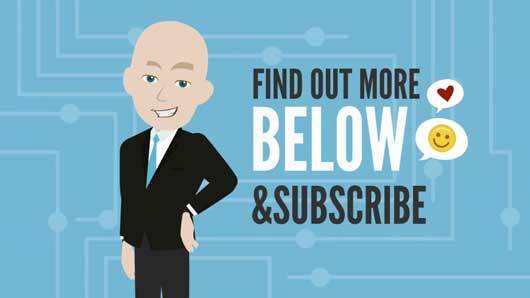 Check out these videos on How to Sell a Condo! Looking for Presale Condo Investments? 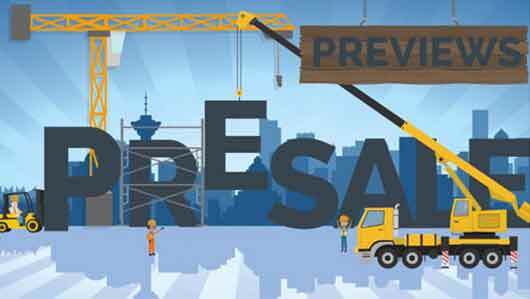 Have a look at these Videos on New Presales in Vancouver! More Justification of Stimulus and What Should We Do Instead?